The Jedox Projected Balance Sheet model simplifies complex integrated financial planning to support budgeting and forecasting. 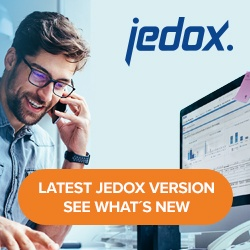 This Jedox Premium Model includes the same functionality as the basic Jedox Balance Sheet model plus additional content to enable projections for a forward-looking, fully integrated financial planning solution. The Premium Model integrates changes on balance sheet items from multiple PnL accounts for all planning versions. It also features the calculation of future tax liabilities as well as the projection of proceeds and payments based on payment schedules. Jedox Models are highly configurable best-practice applications. They store amounts in a source currency and convert them into one or multiple reporting currencies. Data can be either imported from source systems or entered manually. This model requires the Profit and Loss model to be installed on the same database. Test Drive the Projected Balance Sheet Model from the Jedox Marketplace.